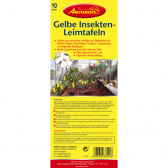 Disinfecting agents, gloves, mask, hair net and more. 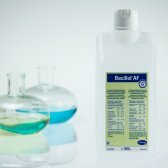 Alcohol-based rapid disinfectant with broad spectrum of activity. 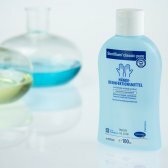 The classic among rub-in hand disinfectants for hygienic and surgical hand disinfection. 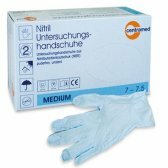 Examination gloves made of Nitril. 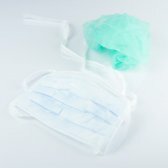 Protective clothing for working with sterile materials.